I want to tell you the progress of yoga in the US from when yoga was invented in its place of origin to how it got popularized in the US and the issues that have risen along with the popularity of yoga in the US. Dr. Ishwar V. Basavaraddi, Director of Morarji Desai National Institute of Yoga (MDNIY), explains about the history of yoga in his article Yoga: Its Origin, History and Development. Going to back to 2700 B.C, Yoga was considered an “immortal cultural outcome” of the Indus Saraswati valley civilization. “The science of yoga has its origin thousands of years ago”, even before religion or believe systems existed. Shiva was seen as the first yogi guru. On the banks of the lake Kantisarovar in the Himalayas was where Shiva poured his “profound knowledge into the legendary Saptarishis or “seven sages””. This yogic “science” was carried into different parts of the world, including Asia, the Middle East, Northern Africa and South America. After the foundation was built for yoga in India, yoga was practiced under the guidance of a Guru and its spiritual value was given special importance, something that lacks, according to many practitioners, in the US, during yoga practices. In the history of yoga, there was a lot of analyzing done to make sure that people practice yoga for the mind, body, breath and the inner self, which was something that the Gurus of the time believed in and promoted in the society where people did yoga. Asana practices, which should have been the focus of the yoga classes, were excluded from instruction because they were associated with low – caste mendicants, hence instructors like Vivekananda excluded its teachings from their classes. This eventually gave a rise to postural yoga, which seemed to be the new attraction in the US and Europe. Postural yoga was experimented with by assimilating it with women’s gymnastics, which seemed to be working successfully, because more and more people liked the practice and that’s how yoga became greatly westernized. This practice of yoga became so popular that the innovators of yoga like Shri Yogendra started explicitly borrowing from these women’s gymnastics traditions and caused yoga to become greatly westernized. In the later years, Patanjali, an Indian sage who compiled the Yoga Sutras, in his Yogasutra, made an even bigger impact on the Western countries, because it was key in the development on the Western understandings of yoga. 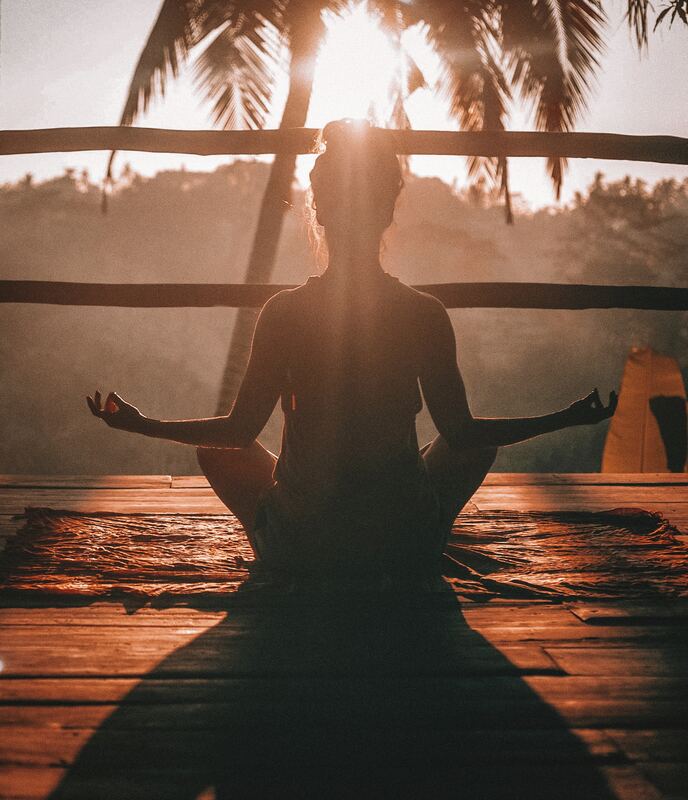 This development lead to the westernization of yoga and focus on the physical aspect of yoga and making it more of a business rather than a spiritual practice intended to help people gain spiritual enlightenment. After this westernization of yoga, people started treating yoga as a great exercise routine to have in their daily schedule. There was a tremendous amount of increase in the interest in yoga by people and more and more studios were starting to be built. Just as people started enjoying this new “physical activity”, some people wanted to know more about the origin of yoga and the cultural aspect of the activity, which was lacking in the regular yoga classes. Soon, yoga classes started incorporating religious aspects into the class, but the problem that rose due to this was that there wasn’t accurate study done to make sure that all the religious symbols are represented accurately and at places the Hindu symbol was hung in the wrong way or people were given half – researched information about the origin of a particular posture of yoga, so this made knowing the religious aspects of the practice difficult for people during classes and there were many that wanted to take a stand against this stripping off the essence of a country’s practice. Manisha Johnson and Nisha Ahuja, writers of the article 8 signs your yoga practice is culturally appropriated – and why it matters, say that many people take yoga as an exercise routine and nothing more; They firmly believe that “Yoga is a spiritual path” and say that “[spiritual] practices played an essential role in many people’s healing, health, and survival.” They firmly believe that there is cultural appropriation, a process that modifies the traditional practice to the liking of the dominant group, which is helping the yoga industry benefit, but is in turn compromising the real purpose of yoga, which is to unite the mind, body and soul. Susanna Barkataki, writer of the article How to Decolonize Your Yoga Practice, would agree with these claims, saying that “If someone from dominant cultures completes a yoga class that is primarily asana based…they are culturally appropriating yoga”. Johnson and Ahuja go further to say that there are multiple instances when sacred objects are used in yoga practices without a “realiz[ation] [of] the significance of what [practitioners are] using”, which Barkataki would strongly agree with, since she gives an example of one of her yoga classes hanging the “Om symbol in the wrong direction” and this is stripping the culture off its meaning and is humiliating for people originating from that religion. This is one of the instances of how after yoga was introduced and was made popular in the US, the weaknesses and compromises were noticed by the people and an action was wanted in order to preserve the cultural uniqueness that was lost when yoga was westernized. After yoga is being practiced in the yoga for multiple decades now, some people felt that there should be POC (People Of Color) only classes, since they believed that these restriction to classes are necessary in order to promote the practice among people of their group. Dori Manson talks about this in Eric Mandel’s blog Dori has a problem with ‘yoga for people of color’ class, where Manson says that “…the fact is, this yoga class is every bit as racist as a bunch of white people who say they don’t want to be around somebody of color. That’s why I wouldn’t want to attend either one of those classes … The fact is, they are both racist.” This is very much agreeable because the POC who want classes only accepting them would be offended if white people had their color – only classes, so it would only be unfair to have POC – only classes. The threats and attacks that are talked about in Krista Lee Hanson’s blog When people of color say they want their own yoga, white people should listen talk about white people attacking the POC (people of color) yoga classes for excluding white people from attending the same. This, I believe, is proving that if a POC comes to a country which is pre – dominantly a race that they exclude from their group, there will be an outrage, since that race has always accepted people from other races and has never tried to favor people based on their race. When the country is trying to get rid of or at least reduce to negligible amount of racism in the country, this sort of segregation only increases the amount of hatred among white people about POC. Finally, I believe that the origin of yoga should be preserved and to do so, cultural appropriation should be avoided and the racial segregation should be avoided in order to spread the real purpose of yoga to as many people as possible.